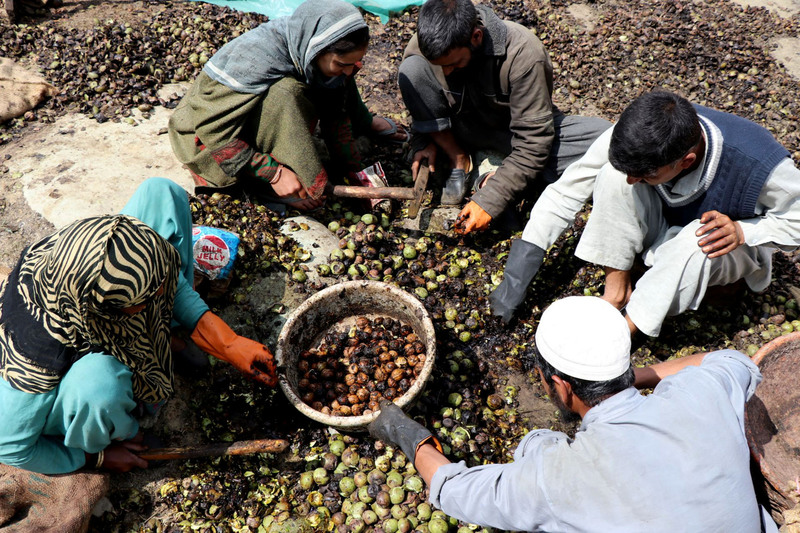 Srinagar: As the season of harvesting the Kashmir walnuts has arrived, the growers have started plucking the crop, but it is not as easy as it looks, it is quite a tough job as the one who plucks the walnuts has to reach on the top of the tree. The process involves beating of the fruit-bearing branch by a long stick. 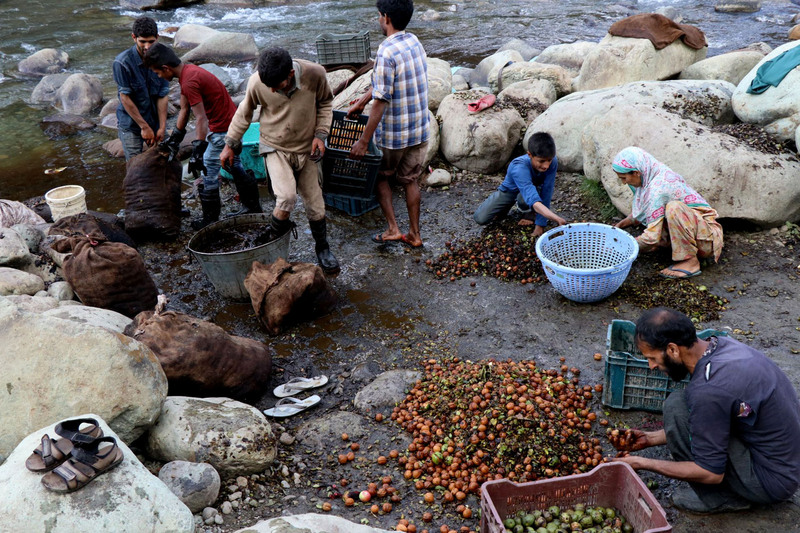 The drying process is being done after washing out by the water, mostly the growers prefer to wash in a flowing stream or river. Then comes the drying process, which is being done in the open field under the sky for almost a week. 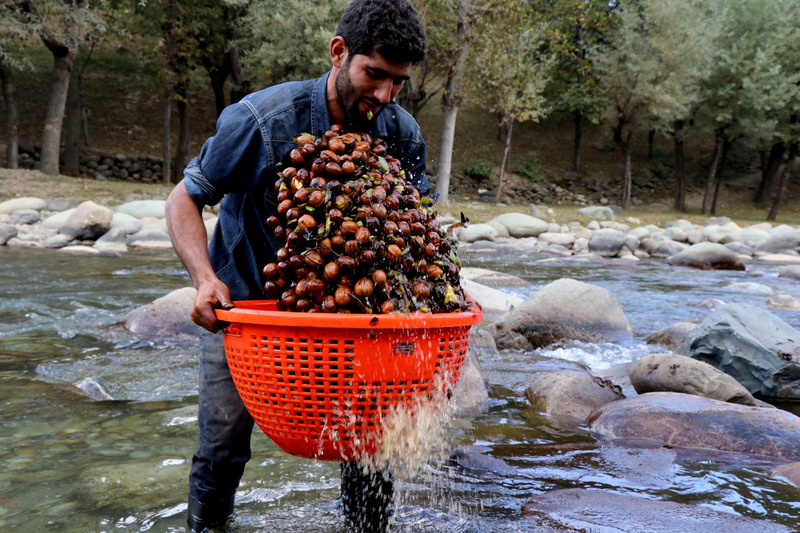 The walnut also known by the name of Akhrote in Kashmir valley and other parts of the country is found in northern parts of the country in the temperate zone and is believed to have originated in the region from Persia to Kashmir. 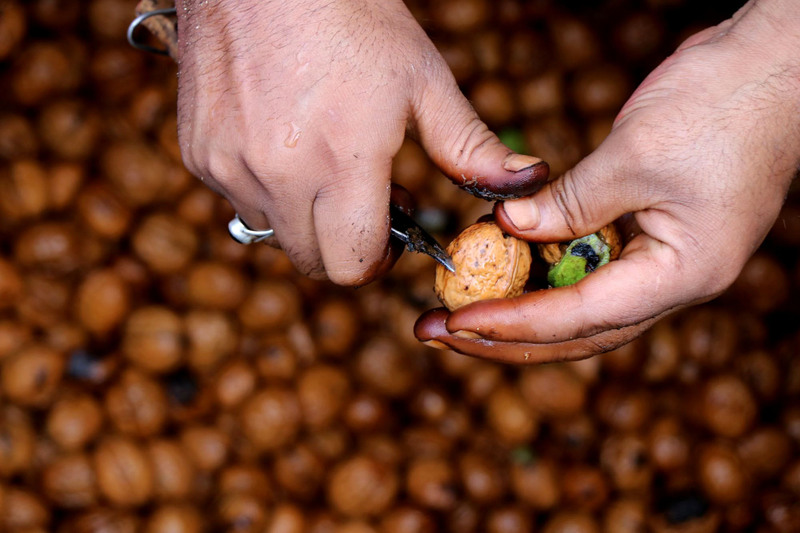 Kashmiri walnuts, widely known for their superior taste and quality, are being demanded worldwide. 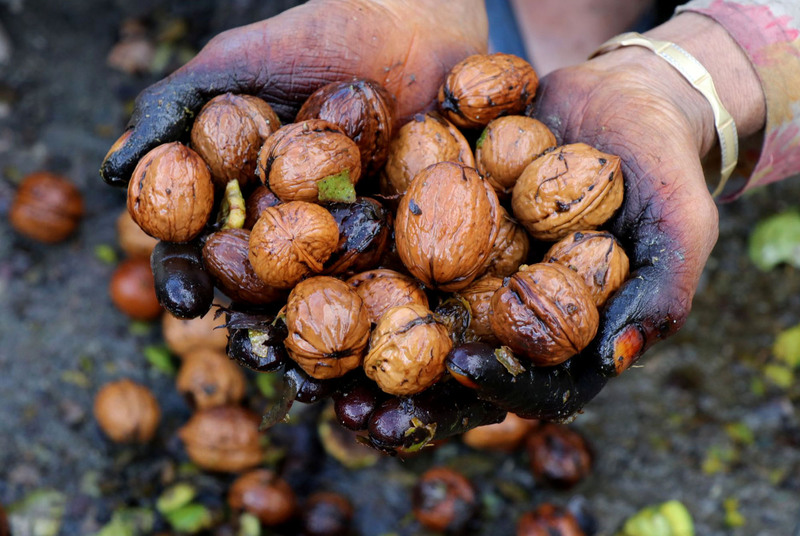 The plantation of walnut is done by seedling and with a very little effort bestows plentiful nuts. The advantage of the nut of walnut is that it has a long shelf life. 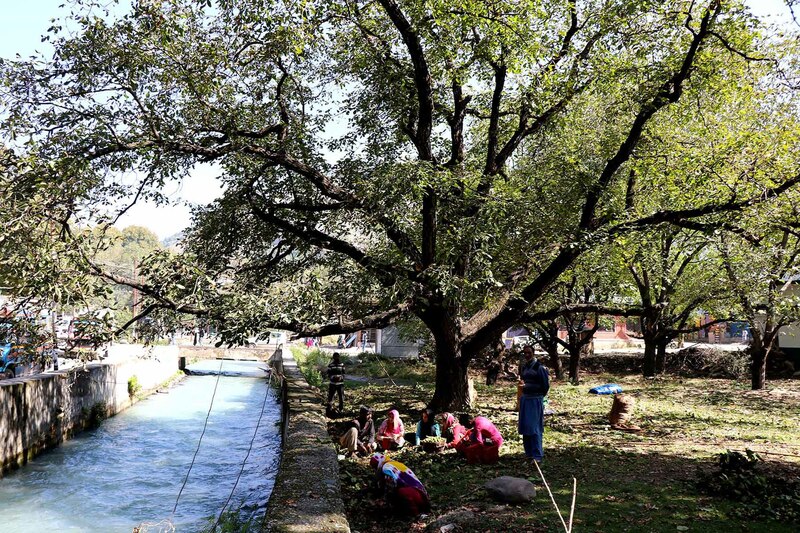 Walnut trees thrive best in the hilly regions, like the ones of north-western Himalaya including Jammu and Kashmir, Himachal Pradesh, Uttarakhand, and Arunachal Pradesh. 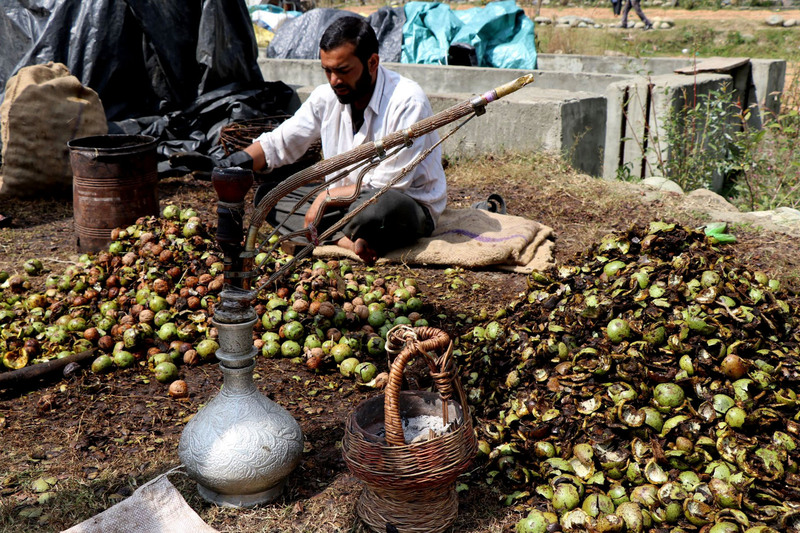 But, Jammu and Kashmir is the main hub of commercial production of Walnut in India. 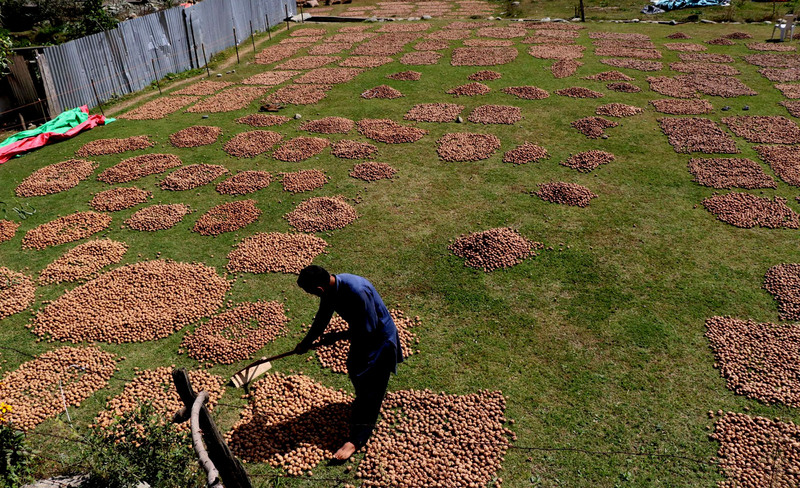 Kashmir enjoys its status as a major contributor to the export of walnut from India. 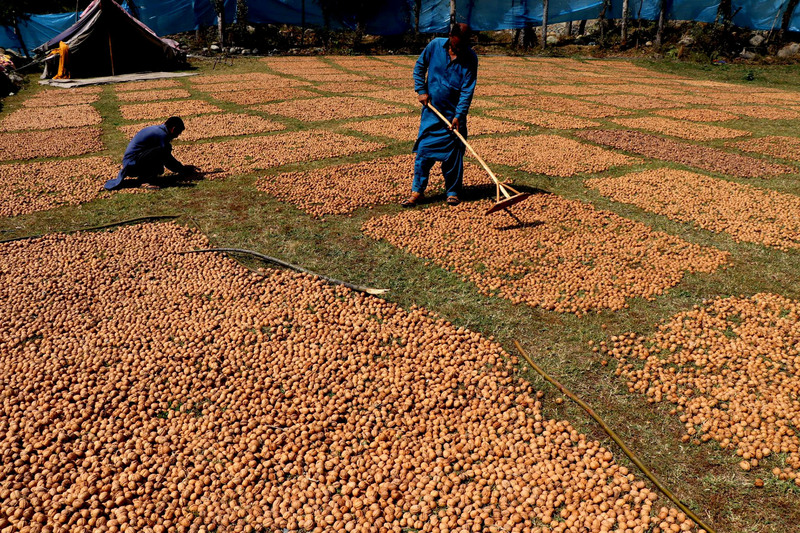 Walnuts grown in Kashmir valley are certified as the organic. Walnuts are available both raw or roasted and salted or unsalted. According to the U.S. Department of Agriculture National Nutrient Database, approximately 1 ounce of raw walnuts (28.35 grams) contains 185 calories. Nuts generally have a reputation for being a high calorie and high-fat food. 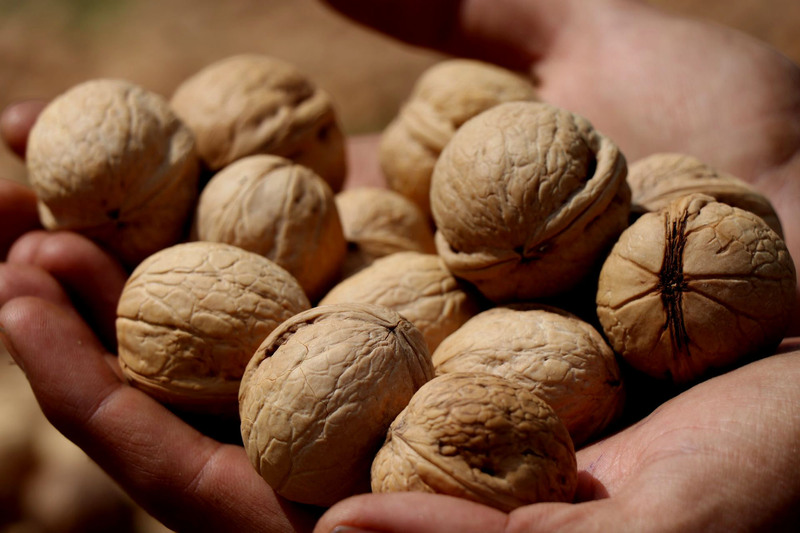 However, walnuts are also rich in good nutrients and provide heart-healthy fats. Walnuts have a high percentage of monounsaturated (MUFA) and polyunsaturated (PUFA) fats and are a good source of protein. The combination of healthy fats, protein, and fiber in walnuts increase satisfaction and fullness, which makes them a great snack compared to simple carbohydrate foods like chips or crackers. Consuming plant-based foods of all kinds has long been associated with a reduced risk of many lifestyle-related health conditions like obesity and diabetes. Many studies suggest that eating more plant-based foods like walnuts also decrease the risk of heart disease and overall mortality. Eating such foods also promote a healthy complexion and hair, increase energy consumption, and overall have a weight lowering effect. The monounsaturated and polyunsaturated fatty acids found in walnuts have been shown to decrease low-density lipoproteins (LDL) or bad cholesterol and triglyceride levels which in turn reduce the risk of cardiovascular disease. A study published in the “British Journal of Nutrition” showed that the risk of coronary heart disease is 37% lower for those consuming nuts more than four times per week compared to those who never or rarely consumed nuts. In another study, it has also been found that regularly eating walnuts could reduce the risk of coronary heart disease.